Want to explore the city of Vancouver? Then why not migrate to Canada and check out our list of fun things to do in Vancouver from Stanley Park to the Vancouver Aquarium where you can pet real live belugas whales. Vancouver is known for many things. 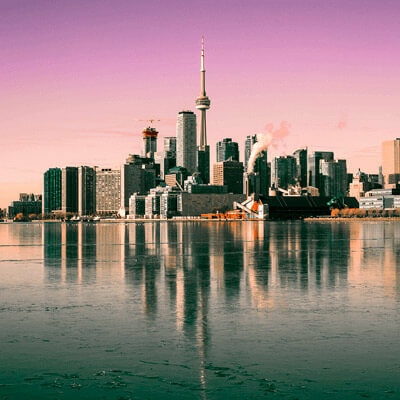 Its beautiful beaches, vibrant city life, breath-taking mountains and many restaurants have made this city one of the most popular destinations in Canada. Canadians love to spend their time outdoors, and with so many exciting things to do and see, we know why. Over 8 million people choose to visit the famous Stanley Park every year. Located on the peninsula of downtown Vancouver, the 1000 acre park offers a variety of activities for all ages. Visitors can take a stroll through the forest, cycle along the winding Sea Wall and visit the globally-rated Vancouver Aquarium. No matter the season, visitors flock to the park that has become an integral part of the city’s landscape for over 130 years. In the summer, it is always worth a trip to the many beaches that line the park including Second Beach and the secluded Third Beach.Besides offering beautiful views over the bay, these beaches are ideal for swimmers and the park even has a heated outdoor pool for those cooler days. Stanley Park is a great spot for families. The Vancouver Aquarium is rated as one of the best in the world, offering children the opportunity to see 70 000 marine animals including dolphins, otters, whales and even snakes. Visitors have a once in a lifetime opportunity to touch, train, feed and play with beluga whales, dolphins, sea turtles and sea otters for 1-hour sessions with professional trainers. If you don’t want to walk through the park, there are other ways of getting around. The horse-drawn tours allow you to sit back and relax as you are carried around the scenic park or the Stanley Park Train will take you on a 2km tour of the forest. Journey along the 28km Vancouver Sea Wall, an uninterrupted seaside pathway that begins at Vancouver Convention Centre and runs all the way to Spanish Banks Park. The pathway is for walkers, runners and cyclists, providing a scenic and peaceful experience. Visitors can also enjoy the views over the bay while dining at the many restaurants along the pathway. Imagine yourself enjoying a cocktail in the early evening, while taking in the beauty of Vancouver from one of the best spots in the city. Drive 15 minutes outside of the city and you will find yourself surrounded by mountains. This is where you can find Grouse Mountain, one of the most famous tourist spots in British Columbia. Guests can take the Skyride to the top of the 1200 metre mountain for one of the best views of the area. 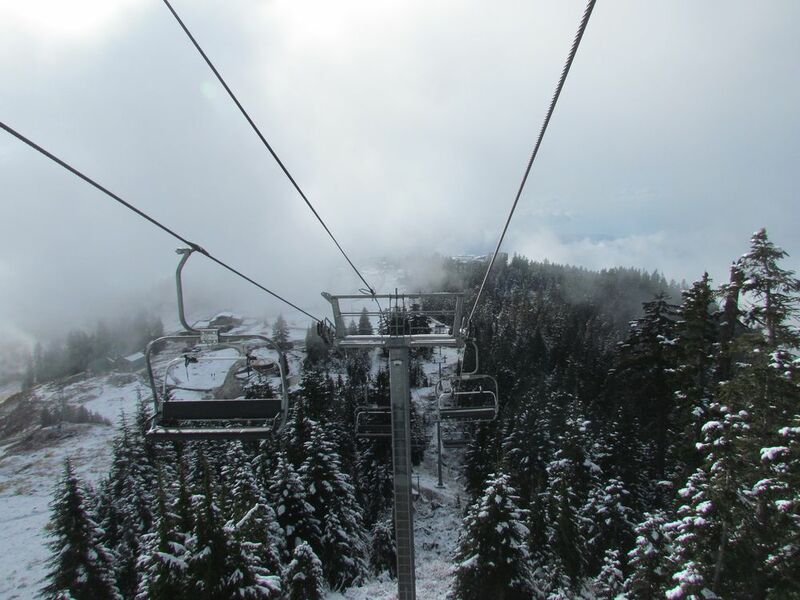 Visitors enjoy the slopes of Grouse Mountain in every season with activities geared towards the different weather conditions. In winter, you can expect a heavy dose of snowfall, which means that skiing and snowboarding should top your list of activities. Those daring few can fly above the trees on the 80km/hour zip line while guests who prefer to relax, can grab a hot drink or meal at one of the many restaurants. When summer comes along, visitors can enjoy hikes and zip lining through the forest. The lush vegetation provides an opportunity for the lucky few to catch sightings of Canadian wildlife including bears and moose. The Grouse Mountain Refuge for Endangered Wildlife enables visitors to experience the beauty of these animals up close and personally. Experience the forests of British Columbia from a whole new height. The Capilano Suspension Bridge Park is a labyrinth of suspended footbridges which are 110 feet above the forest floor. 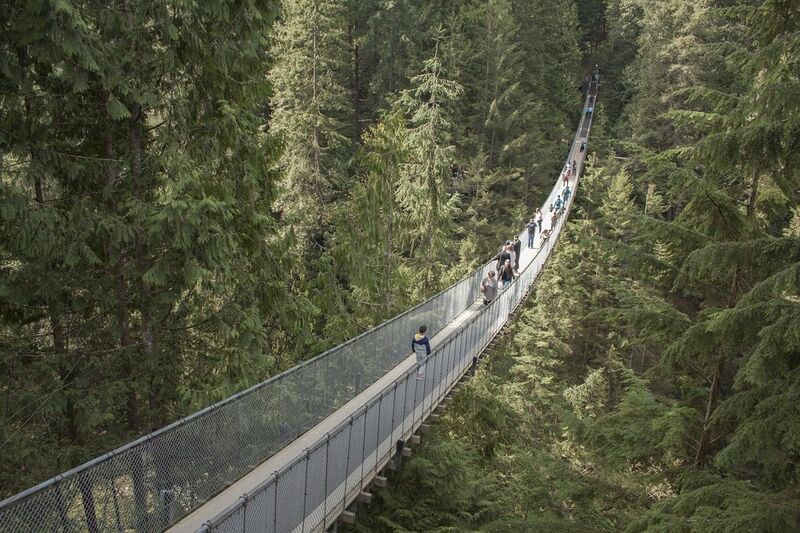 Millions of visitors have enjoyed the journey through the forest and onto the Cliffwalk, a newly constructed cantilever walkway that sits at 70m above Capilano River. Few people know of Vancouver’s greatest secret: Wine country. This may be due to the strict legislation that prohibits wine farms from distributing wine across the border. This means that you need to visit the wine farms or restaurants of Vancouver to really enjoy a good glass of locally produced wine. One of the most unique wines in the area is ice wine. A delicious glass of this dessert wine is made from grapes freezing on the vine and then being pressed while completely frozen. For some of the best wine farms, you will need a bit further outside the city. Vancouver is at the centre of Canada’s arts and culture offering. The rich culture of the vibrant city has created many platforms for locals to exhibit their talents. South Granville Street or “Gallery road” as it is sometimes referred to, is as the name implies. Some of the top art galleries have opened their doors along this strip including the well-known Douglas Reynolds Gallery and unique Ian Tan Gallery. If you are a movie buff or interested in the industry, you will be able to enjoy some of the finest work at the annual Vancouver Film Festival. Running over a period of 17 days from late September till early October, more than 140,000 film fans and 4,000 movie industry professionals will be able to enjoy a collection of 350 films from 70 countries around the world. Vancouver is Canada’s culinary hotspot. Whether you enjoy fine dining, seafood, steak houses or pub food, Vancouver is a city that has you covered. Sometimes we all need to treat ourselves and there are many opportunities to do just that in Vancouver city. Make your way to Yaletown, where Blue Water Cafe + Raw Bar is said to be one of the best seafood restaurants in the city. The venue has won many awards for its spectacular cuisine, including Best Seafood, as awarded by Vancouver Magazine Restaurant Awards (2008-2015). The upmarket restaurant offers a varied selection of seafood, from the raw menu to the fresh tank seafood including Alaskan King Crab and Atlantic Lobster. As “Vancouver’s Restaurant of the Year”, Hawksworth Restaurant is a culinary triumph. Chef David Hawksworth, remains true to his unique art of cooking, with ingredient-led and contemporary meals that demonstrate a highly skilled technique. This elegant restaurant is located on West Georgia Street, in the heart of the vibrant city. Offering private dining areas and an upmarket clientele, this restaurant is a treat for the senses. If you are looking for a venue that gives you the opportunity to enjoy the beauty of Vancouver while enjoying delicious meals and drinks, then you will be happy to know that you will be spoilt for choice. For one of the top views over the city, take the sky car up Grouse Mountain and settle in at the Observatory Restaurant. This upmarket venue offers a selection of locally-sourced meals that are perfectly selected to enhance your unique experience. Perched on top of the mountain, you will be able to see over the city and onwards to the distant mountains. Truly experience the heart and soul of Vancouver with a unique culinary tour. You will be able to experience the unique flavours of local foods at some of the city’s best-loved food trucks or you can stroll down the street, sampling meals from various restaurants. The famous China Town is one of the biggest in the world and definitely worth a visit. Try the many craft beer spots including Craft Beer Market in 1st Avenue. Boasting over 140 beers, this is a serious beer spot for locals and tourists.